Home › Acne › La Roche-Posay Effaclar Astringent Toner, 6.76 fl. oz. La Roche-Posay Effaclar Astringent Toner, 6.76 fl. oz. MICRO-EXFOLIATING ASTRINGENT TONER: This toner for oily skin acts like a pore minimizer and helps visibly reduce the look of pores. Formulated with micro-exfoliating lipo-hydroxy acid, this toner refines skin texture, and unblocks and tightens pores. Tested on acne-prone skin (non comedogenicity test). Water • Alcohol Denat. • Glycerin • sodium Citrate • Propylene Glycol • PEG-60 Hydrogenated Castor Oil • Disodium EDTA • Capryloyl Salicylic Acid • Citric Acid • Salicylic Acid • Fragrance. SkinMedica Acne Treatment Lotion, 2 oz. La Roche-Posay Effaclar Serum, 1 oz. 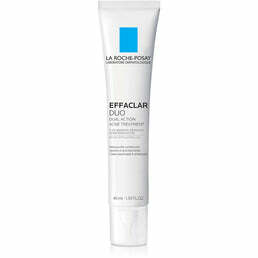 La Roche-Posay Effaclar Duo Acne Spot Treatment, 1.35 fl. oz. 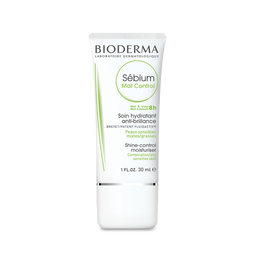 Bioderma Sebium Mat Control, 1 oz.